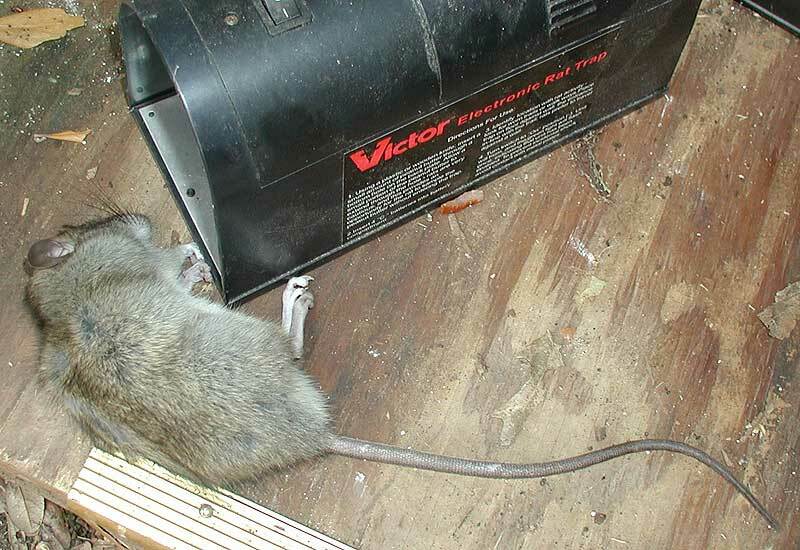 While Kurt, the Fall City Rat Hunter, used an M-1 Carbine to BLAST away at rats, John Tex decided that a 9,000 Volt BLAST from an Victor Electronic Rat Trap would take care of his pesky rodents ... and he was quite successful! From: JohnG ... but just call me 'Tex! Enjoyed the rat hunter site - here is my story. 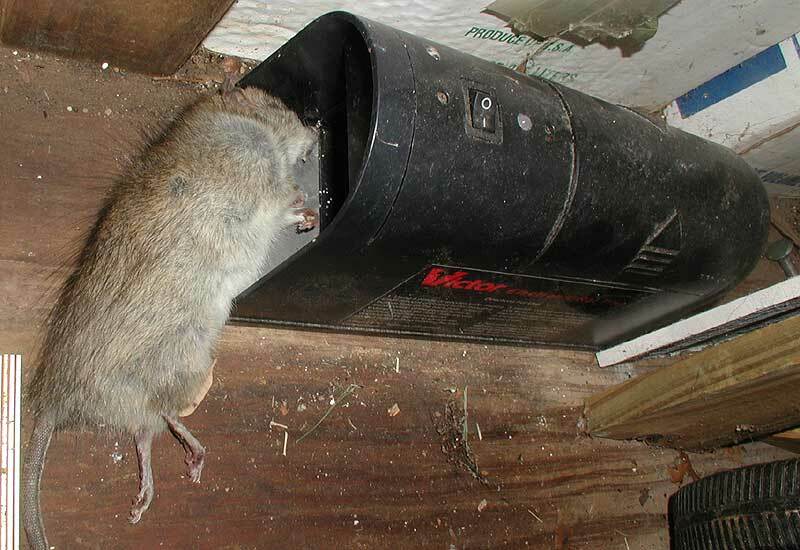 For the past two years I have been fighting the rats in the attic since they seem to start chewing on the wood rafters about 5 am in the morning and it wakes me up. So, after trying it all ... Spring traps and poisons as DeCon and dying rats in the attic with the terrible smell and all ... I finally thought what the heck I would try one of those electrocution chambers for the critters. So, I shelled out $42 and waited and waited and waited and only caught those huge roaches (my mother calls them water bugs - ha!) with peanut butter but no rats. 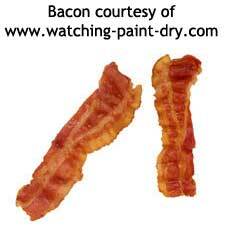 I finally changed my bait to fresh cooked bacon and after a few days ... WHAM ... Number one Rat fried with the Victor electronic rat trap with 9,000 volts ... I was elated to say the least. Note in the photo that he almost got out even though the trap has 3 electrocution plates to prevent such things. Then, I checked it the next day and wham ... Rat number 2 with no bait at all ... Maybe he smelled a RAT -- Hee Hee! Then came Rats #3 and Rats #4 all with cooked bacon but not too crisp. I am still on my first set of batteries and the electrocution chamber holds 4 size C. So far I am a happy camper! Oh, by the way, I finally found the hole where my two roofs meet and where the roof rats were coming into my attic ... It took a lot of looking and was hidden very well! 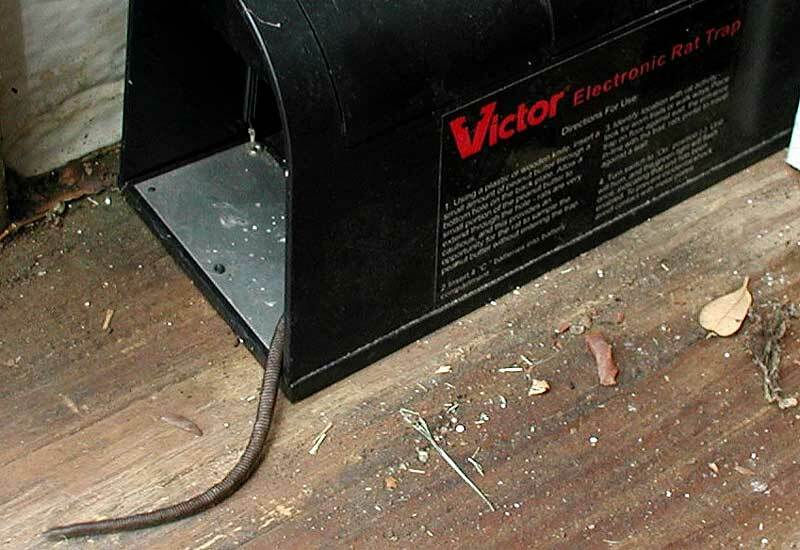 The Fall City Rat Hunter Replies: Good idea using bacon for bait ... and I'll bet those rats were well done crispy critters after a 9,000 volt zapping from the Victor Electronic Rat Trap!